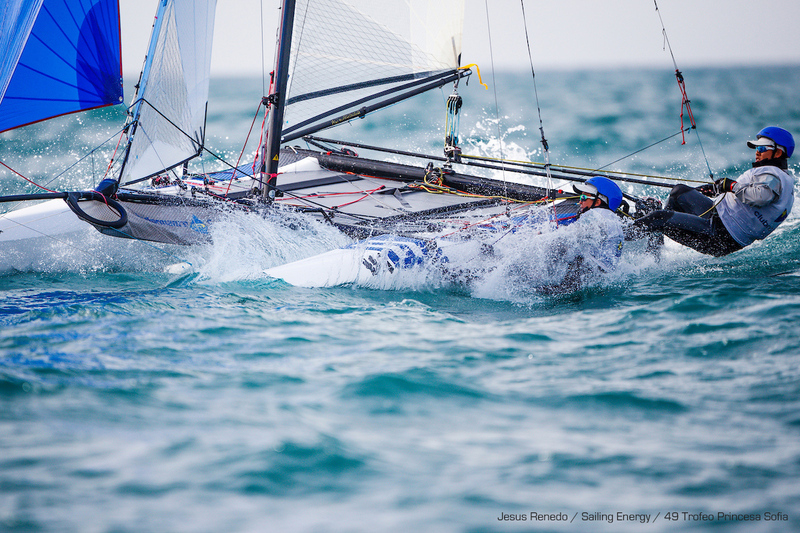 All images Jesús Renedo / Sailing Energy / Trofeo Princesa Sofia. 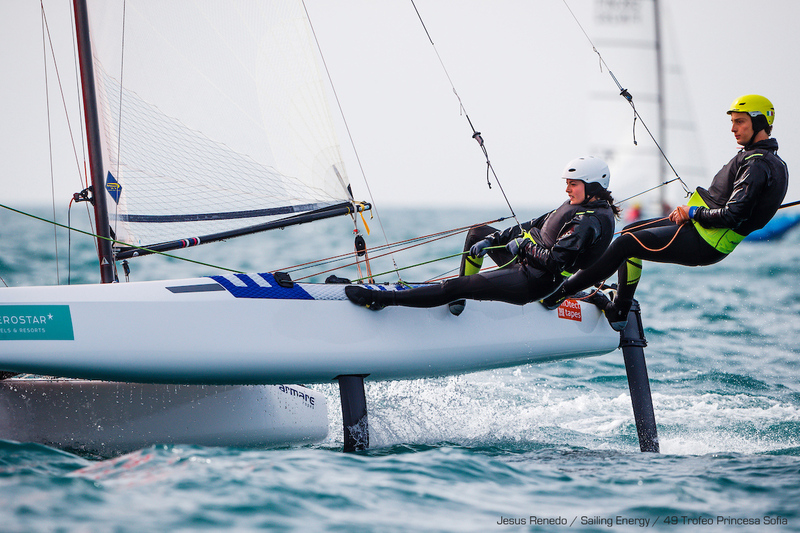 More pics at Sailing Energy fb - Ben Saxton & Nicola Boniface climbed to first place overall after the 3 races held today, still on the qualifying stage. 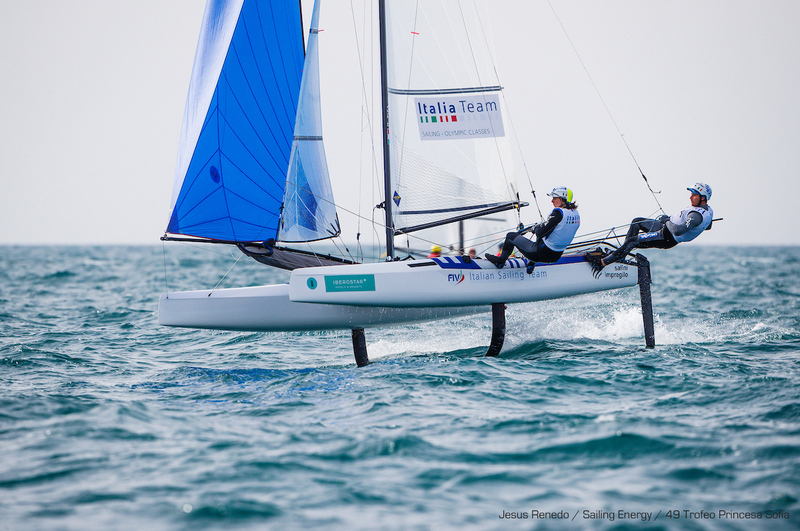 Italians Tita & Banti managed to keep close to the British crew after their own lead from yesterday. Lange & Carranza scored a 2nd in the fourth race, but were pressured by the Youth Arg crew in the last two, in fact they raced together the first one also as Madjalani&Bosco finished 4rd in that race. 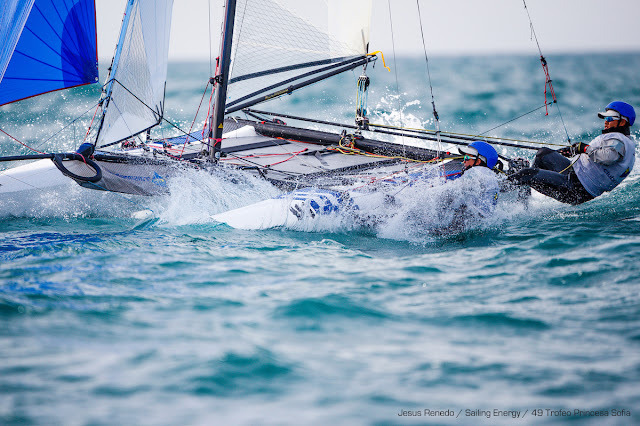 So proud of the kids, who are campaigning hard without all the resources Lange has, but Argentina has a solid future representative in Olympic Multihulls with them, and like we once wrote for Waterhouse-Darmanin they are set up for a great career, with chances to surprise towards Tokyo 2020. 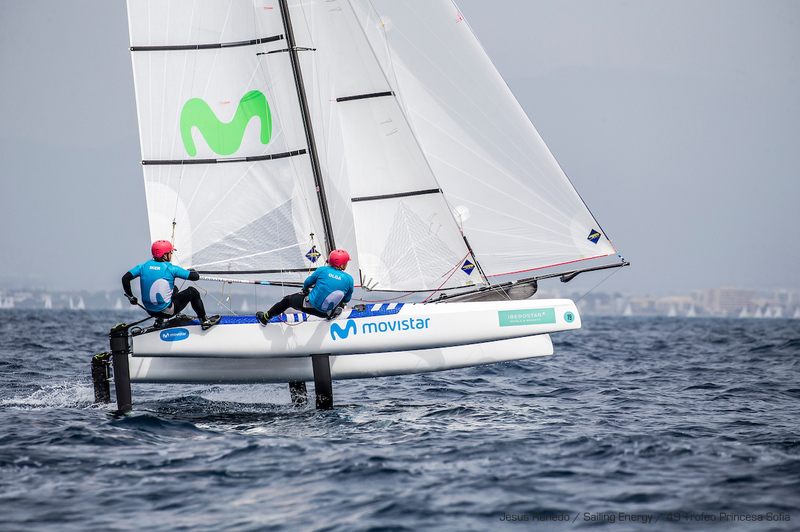 Another good fight is the Spanish Armada, with Echavarri-Pacheco and Iker-Maslivets. 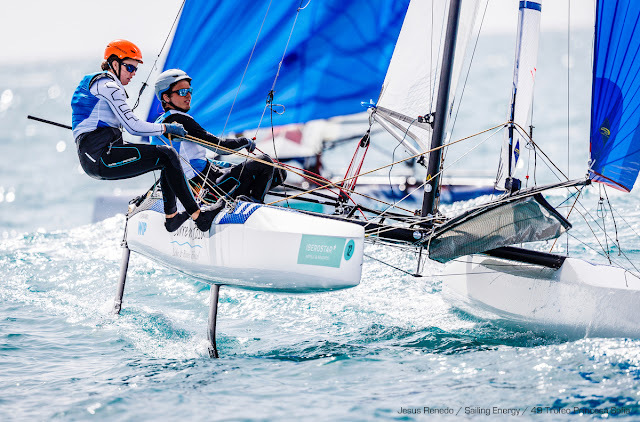 Those two crews (and former Olympic Gold medalist helms) have been fighting since the Rio campaign, and both continue to show their top level in whichever Olympic boat or mode they sail.